Discover and try out the various routes and single trails in the sunny Val Gardena. Our expert MTB guides offer you technical courses, guided tours and fabulous freeride descents in the mountain bike area. The cycling area is on average between 1500 and 2400 meters above sea level, surrounded by the peaks of the Dolomites. In addition to the weekly program we offer on request PRIVATE TOURS, GROUP COURSES, the SELLARONDA MTB TRACK TOUR with or without the use of lifts. If you have any special requests, contact us! E-Bike: the beginning of a new era! The new E-bikes allow you to ride steep trails and to reach destinations you never thought you would be able to reach. Take part at one of our E-bike tours and discover new panoramic trails in the most beautiful places in the Dolomites. Thanks to our new E-bike with its long-life 500 Wh battery you’ll be able to ride long bike tours with breathtaking descents. For beginners we offer technical courses and various excursions in the valley and towards the Alpe di Siusi. 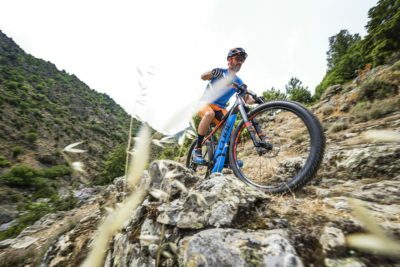 For those who have a good technique, but are less trained, we offer excursions in e-bike or mountain bike with the possibility of transporting the bike with the lifts. 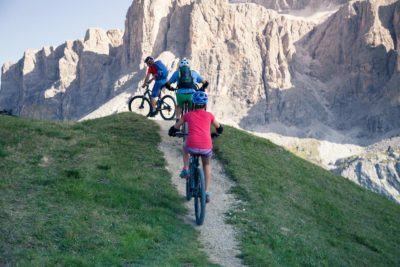 For the most trained, wait for the Sellaronda MTB Track in both directions, various single trails and enduro / gravity descents. Weekly program of mountain bike and e-bike tours. For beginners and advanced. Discover new trails in the Dolomites with our Val Gardena professional instructors. Unique view and unforgettable feelings! Morning (appx. 2,5 hours) – 25,00 €/pers. Afternoon (appx. 3 hours) – 35,00 €/pers. All-day (appx. 6 hours) – 45,00 €/pers. All-day (appx. 5 hours) – 45,00 €/pers. All-day (appx. 8 hours) – 50,00 €/pers. Afternoon (appx. 2,5 hours) – 35,00 €/pers. – MTB & E-BIKE: Skills Coaching (morning) – EASY– 25,00 €/pers. – E-BIKE: Discovery Tour (afternoon) – EASY– 35,00 €/pers. – MTB: King Tour Belvedere* (all-day) – HARD – 45,00 €/pers. – E-BIKE: Sassolungo Rock Tour (morning) – MEDIUM – 35,00 €/pers. 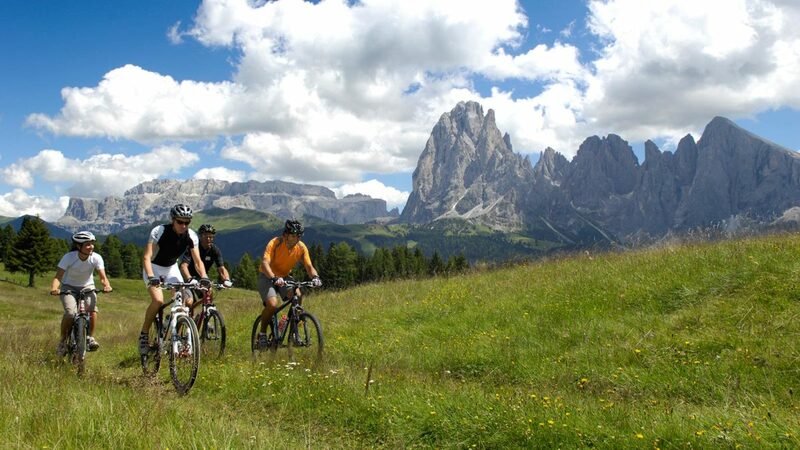 – MTB & E-BIKE: Sellaronda MTB Track Tour* (all-day) – HARD – 50,00 €/pers. – MTB & E-BIKE: Gardena Ronda Tour (afternoon) – MEDIUM – 35,00 €/pers. – E-BIKE: Happy Wake Up Tour (all-day) – MEDIUM/HARD – 45,00 €/pers. – MTB & E-BIKE: Sas dla Crusc (all-day) – HARD – 45,00 €/pers. – MTB & E-BIKE: Val Gardena Enduro* (all-day) – MEDIUM – 45,00 €/pers. – MTB: Flow Ride / Gravity (afternoon) – MEDIUM/HARD – 35,00 €/pers. 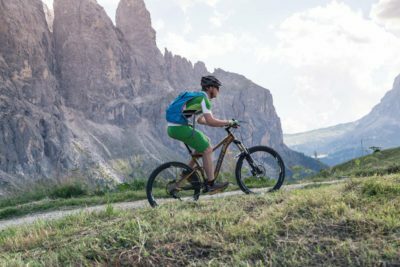 – E-BIKE: Seceda Panorama Tour** (afternoon) – MEDIUM/HARD – 35,00 €/Pers. – E-BIKE: Lago di Fiè (all-day)- MEDIUM – 45,00 €/pers. – E-BIKE: Discovering the Alpe di Siusi (all-day) – EASY– 45,00 €/pers. 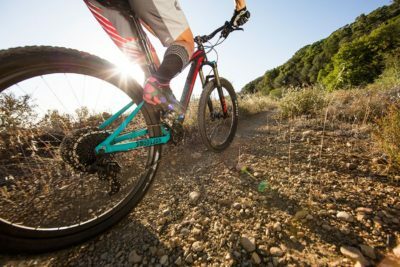 – MTB & E-BIKE: Up & Down – Enduro (all-day) – MEDIUM/HARD – 45,00 €/pers. If you are a group of friends or you have any wishes for excursions by E-bike / MTB just contact us. Our instructors will make you discover unique trails and special places … the essence of mountain biking! A tour with one of our Val Gardena professional guides for unforgettable moments. Thanks to some technical details you’ll feel more confident in discovering new emotions in the Dolomites. What do you expect from your day with your MTB / E-bike? Great slopes, breathtaking views, a great difference in height or great distances, a hut where to stop for a good meal… We accompany you! Experience the thrill of the famous SellarondaTour without the help of the lifts. 60 km, 2,930 meters uphill and downhill. This is the tour for real heroes! It is a unique natural spectacle for mountain bike enthusiasts, connected with typical alpine huts and delicious local dishes. The Sellaronda MTB Tour needs physical training and a decent agility and experience. The exclusive card, valid all summer long, entitles you to use approx. 90 lifts in the Dolomiti area. Each card has a specific number of points available which are deducted depending on the lifts you use. Per questa estate vi proponiamo NUOVE escursioni emozionanti per ogni livello tecnico. Ecco alcune delle nostre proposte. Please send us the completed form to book a tour or for more detailed information about prices, routes and equipment. You need to hire mtb's or e-bikes? All excursions are made with e-bikes. The minimum height for participants is 150cm. If there were children under 150cm please contact us by e-bike specifications. PRIVACY: Informative declaration in accordance with art. 13 of Legislative Decree no. 196/2003 regarding the processing of personal data and consensus to process such data. Data are being acquired here in order to register the person involved and to initiate a service through which said person will receive information about offers, prices and similar initiatives pertaining to the MTB Guides Val Gardena. Even though providing such data, which will be processed by means of electronic procedures, is not mandatory, not agreeing to furnish such information will make processing by the handler impossible. Mountain huts where you can charge the battery of your bikes! Customers can book by E-mail, phone and in our shops. The tours can be paid cash or by credit card. In case of advanced booking by mail we ask the payment in advance by bank transfer. Intersport Rent Val Gardena has the right to change or cancel the offers due to force majeure or extreme weather conditions. The paid amounts will be refunded without any deduction. The organizer does not accept further claims. Bikers have to follow the directions of the MTB guide and observe rules. Biking is a sport at your own risk. We recommend the use of bike protective gear. The use of the helmet is compulsory! Intersport Rent Val Gardena rejects any responsibility for all accidents which may occur during the lessons and tours.